A real show buster of Sweet Feelings to show your appreciation. Design and container may vary. Skewers are used precaution to be taken when eating is advised. 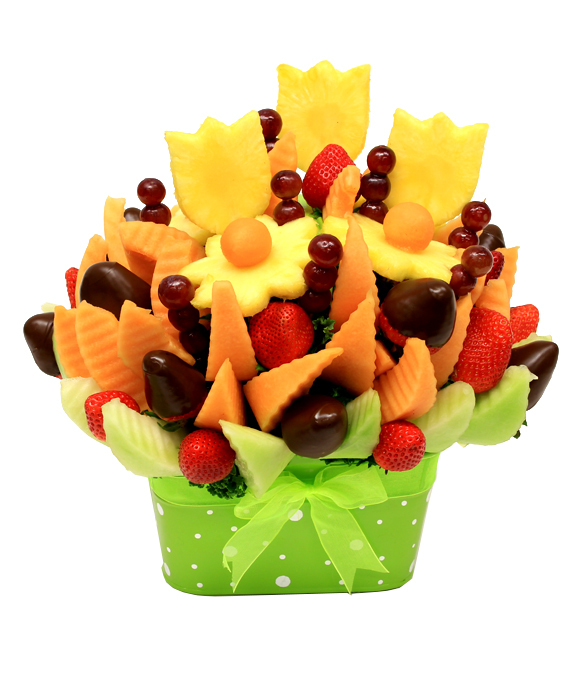 If you would like extra taste or create your own arrangement you have chosen, You are at the right place!! At this stage choose the fruits you would like dipped into chocolate. Extra chocolate dipped will be priced according to YOUR preference.